Brushing and flossing would have been a chore for these duck billed dinosaurs, which were recently discovered to have had 300 teeth. But we can say one thing about having such an, umm, full smile — tooth loss wouldn’t have been that much of an issue. For us humans, though, losing even one of our 32 teeth makes eating, speaking, and smiling with confidence difficult. Dental implants provide an excellent solution for tooth loss, but their success depends on the size and strength of the jawbone before implantation. If significant bone matter has been lost due to missing teeth, bone augmentation is necessary. Sinus lift is one option — your dentist in Westfield, NJ has more information. Dental implants enjoy a 95 percent success rate in eligible patients.One of the most important factors influencing the success of dental implants is the amount and strength of bone matter present in the jaw. Without plenty of strong bone structure, the dental implants will struggle to anchor firmly in the mouth — likely resulting in their failure and your extreme frustration. But why does bone loss occur? Our bones need stimulation to thrive — and in the jaw, the tooth’s root provides that activity to keep the bone structure healthy and whole. So unless you replace the root after tooth loss — something only a dental implant does — then your jawbone will slowly degenerate. People who have dealt with missing teeth for a long period of time experience jawbone deterioration. Bone augmentation procedures help by strengthening the jaw bone or encouraging its growth before dental implants are placed. Replacing the back teeth with dental implants is especially important for continued oral health. The molars are vital for chewing — and an implant-retained replacement is the only thing that comes close to providing your jaw with the stability these teeth need. A procedure known as a sinus lift creates more bone matter at the implant site. One part of your sinus is located behind the nose, or right above your back teeth. Creating bone matter in this area of the mouth provides adequate stability for dental implants. Sometimes called a sinus augmentation, the sinus lift adds bone in the upper back jaw, in the area of the molars and premolars. By accessing the sinus surgically, the bone augmentation procedure is done under the local anesthesia — just like a routine filling. The recovery period following a sinus lift is usually six to seven months, after which your oral surgeon will evaluate healing and determine whether your jaw is ready for dental implants. Building bone for implant surgery is possible with a sinus lift or other type of bone augmentation. 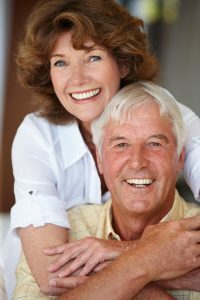 You may be an ideal candidate for dental implants in Westfield NJ with the proper preparation! Contact the office of David M. Weinman and request an appointment to discuss implant dentistry today.